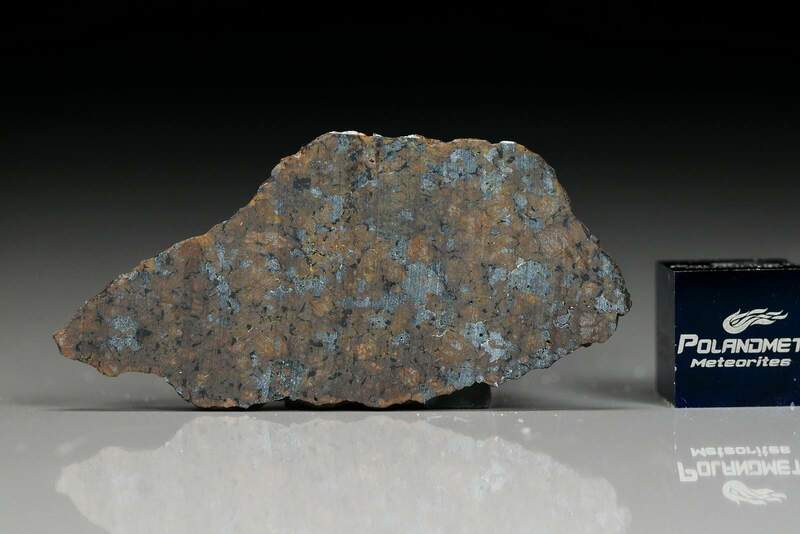 History: The meteorite was found on 20 April 2014 during a field trip in the Oman desert. Physical characteristics: Brownish individual lacking any fusion crust. Petrography: The meteorite is dominantly composed of <1 mm sized olivine grains, sometimes poikilitically enclosing augite crystals. 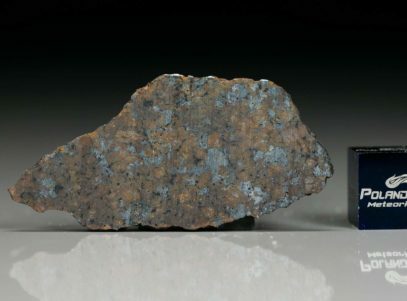 Olivine shows abundant reduced rims; the meteorite contains flaky graphite and Cr-bearing sulfides. Cracks are often found to be filled with barite likely due to intense terrestrial weathering. I keep this specimen for around four years on my window thinking it is just funny rock from my Oman trip. I was thinking to throw it away few times. Around 2 years ago I cut off small endpiece to look inside it, but I didnt find anything interesting (read meteorite related). 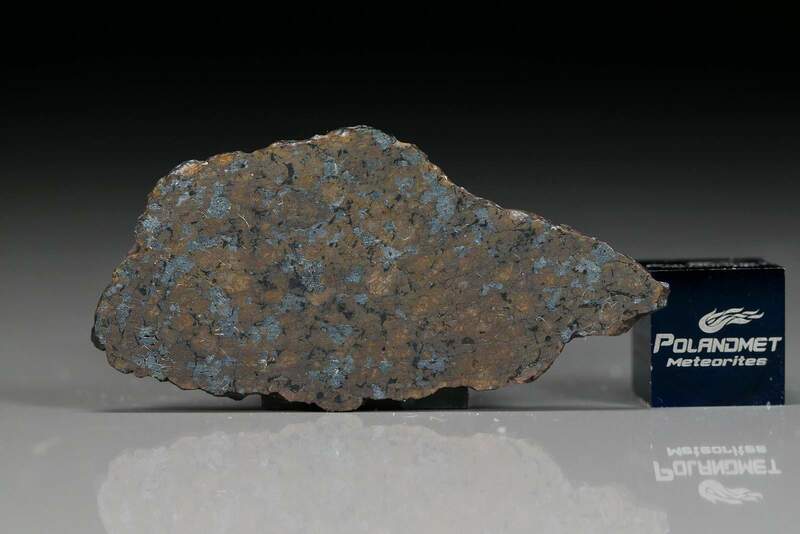 Finally in 2018 I send that endpiece to A. Greshake to be 100% sure that its not meteorite before I throw it through my window. 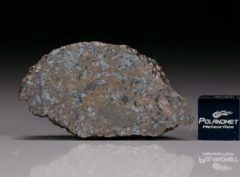 Confirmation that it is meteorite was most surprising information that I received.